When your hair is looking fantastic why should your nails and toes let you down? Thai Manicures and Pedicures are world famous and lets face it, very affordable compared to prices elsewhere. At Zenred Hair Salon Bangkok our technicians will work on your hair, hands and toes all at the same time. This saves you time and money and you can get everything done at once. Just as we love our hair and have some of the best products in the world, we are equally passionate about Nails. 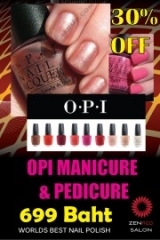 You can expect authentic OPI, China Glaze, Revlon and CND brands at our salon. All World class leaders in Nail Manicure and Pedicure polishes and products. 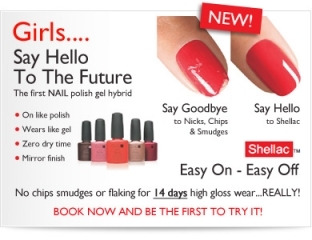 If you want Nails that look shiny and don’t chip for 14 days or more. Then consider our CND Shellac Manicures and Pedicures. This is a Gel that is activated by a UV light. It dries fast and hard and will look fabulous until your nails have grown too long. 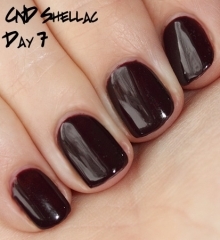 Our hairstylists all swear by Shellac and they cut, curl and use their hands all day long, and it never fades or chips. Plus the colours are magical!